We have a wide variety of medium duty casters with load capacities up to 1200 pounds and built for efficient and ergonomic mobility. Recommended for, but not limited to, institutional use and light industrial environments, they are perfect for smaller stock trucks, warehouse trucks, and various carts and dollies. 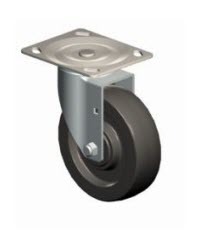 Many of our medium duty casters have 3D models available for download in most formats, including IGES, STEP, PRO/E and SolidWorks. 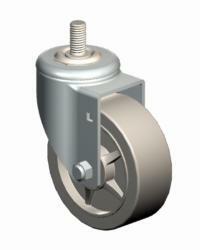 Select one of the fastening selections below to find the perfect caster for any medium duty application. 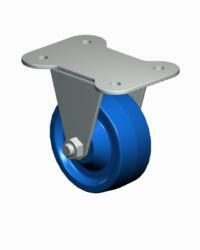 If you don't see the caster you need for your unique application, please call us at 1-800-950-8750. Our knowledgeable customer service team would be happy to assist you with finding a great caster to match any application. We are available Monday to Friday between 8:00am and 4:30pm PST and look forward to being of service.